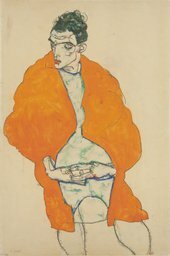 10 years on from our acclaimed exhibition of Gustav Klimt, Tate Liverpool showcases the works of his radical protégé, Egon Schiele, alongside the sublime photography of Francesca Woodman. Both artists are known for their intimate and unapologetic portraits, which look beneath the surface to capture their subjects’ emotions. 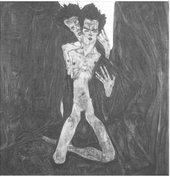 Schiele’s (1890–1918) drawings are strikingly raw and direct. He had a distinctive style using quick marks and sharp lines to portray the energy of his models. Woodman used long exposures to create blurred images that captured extended moments in time. Her photographs can be surreal, humorous and at times painfully honest. The close encounter between these two exceptional artists offers an intense viewing experience and a new perspective on their personal and powerful works.